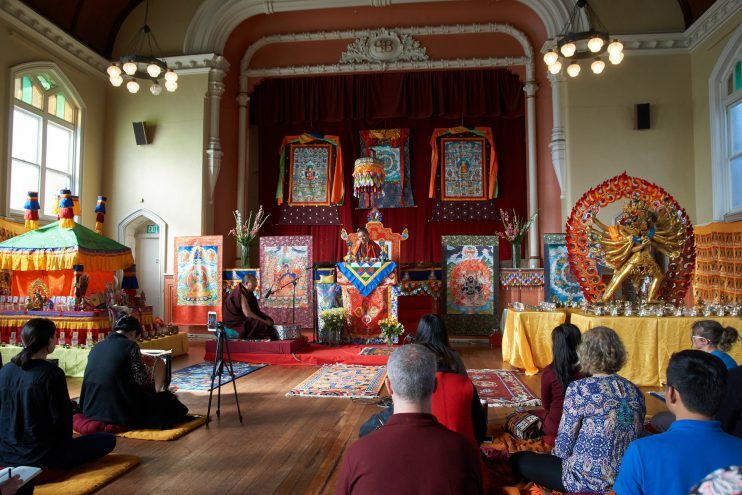 We have had a busy couple of months at the temple in Belgrave, Australia with a very special visit from H.E Kathog Rigzin Chenpo. 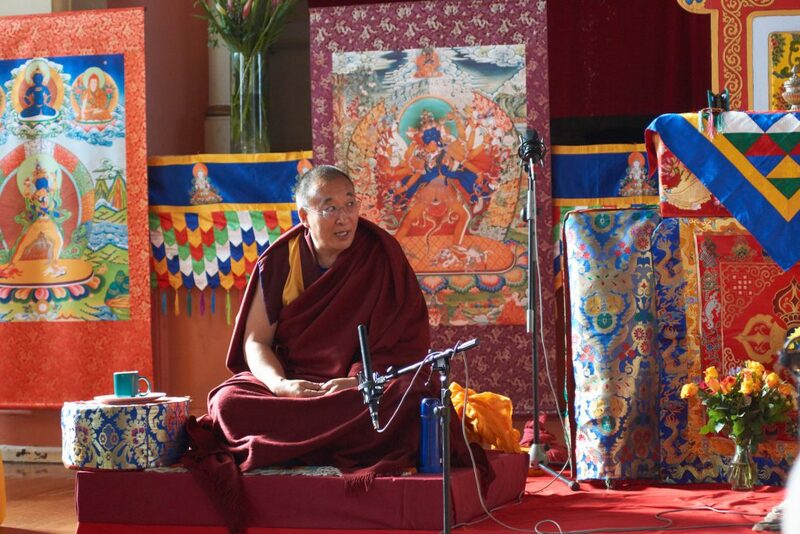 His Eminence gave a series of teachings and empowerment’s to a very lucky group of students in Melbourne in May. 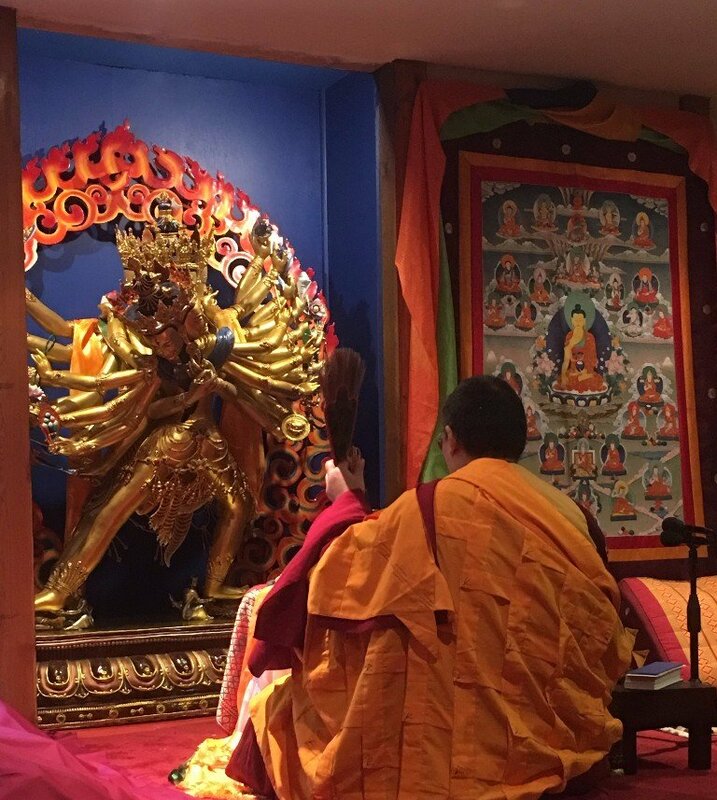 Following the teachings, Khentrul Rinpoche and H.E Kathog Rigzin Chenpo lead the consecration ceremony of the 24 Arm Kalachakra statue that also arrived in Melbourne last month. 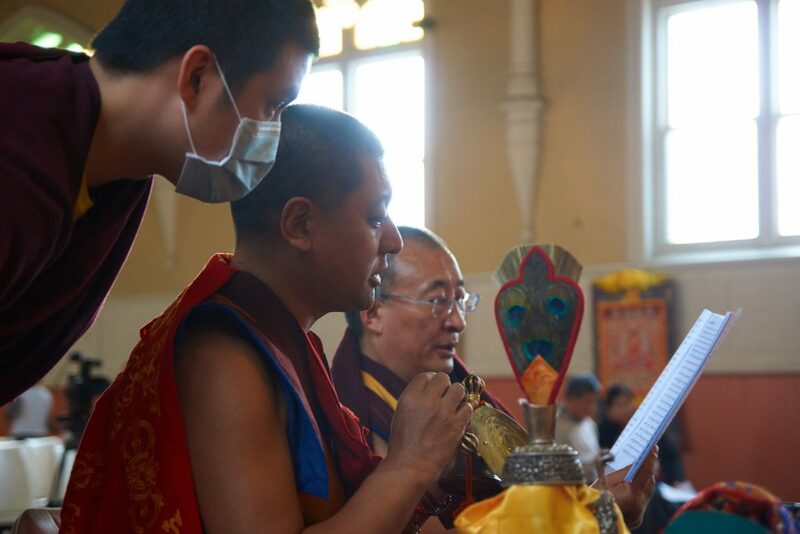 It was a great honour for all those who were able to witness and take part in this extraordinary event. 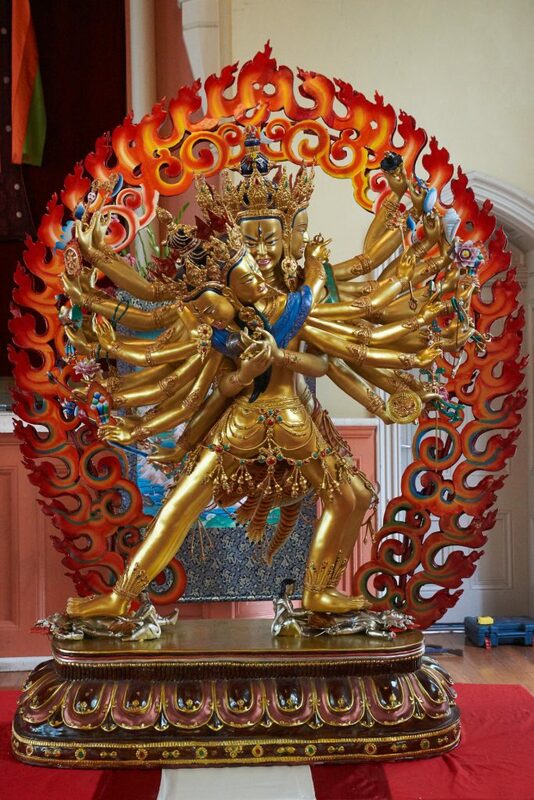 The statue was later installed at the Rimé temple in Belgrave on June 10th 2017. This date was originally chosen because of the auspiciousness of it being Sakadawa and a full moon. 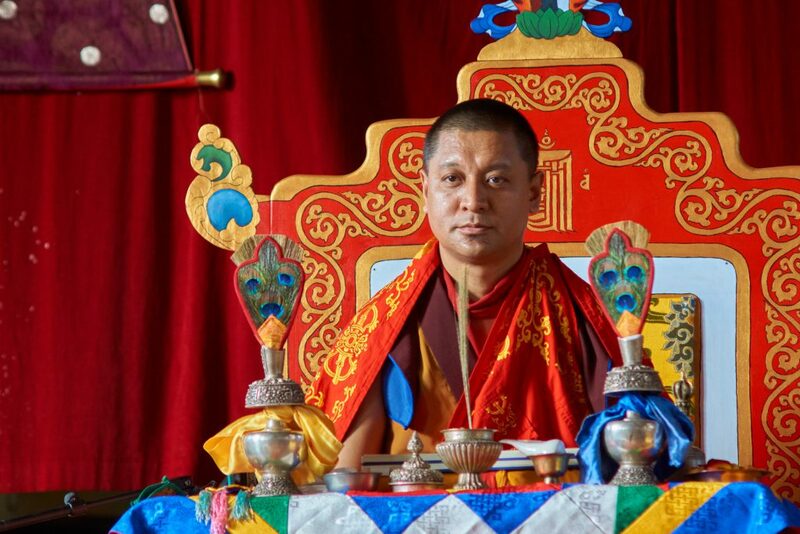 A great omen also followed when Rinpoche realised that this day also correlated with the passing into Parinirvana of Lama Lobsang Trinley, Khentrul Rinpoche’s root lama. The statue will be on display to the general public in our upcoming open day on 21st August 2017. 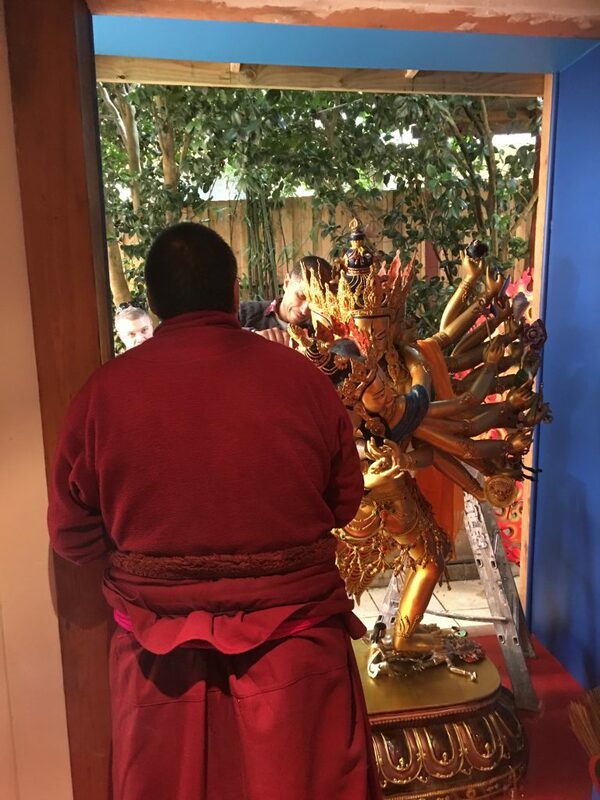 The statue will only be on display once a year to the public so please don’t miss out on seeing this extraordinary and important focal point in Tibetan Vajrayana Buddhism and for greater peace and harmony in this world. The Installation of the statue at Rimé Belgrave, Australia. 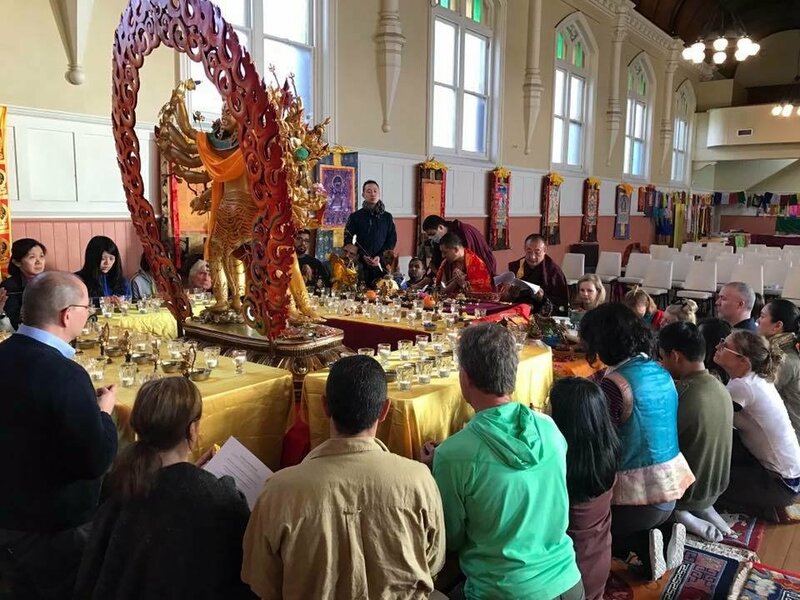 The blessing ceremony of the statue at Rimé Belgrave, Australia.